A number of outdoor enthusiasts believe that northeastern North Carolina has it all. Anglers and boaters love the area, while persons seeking quiet cannot believe their good fortune. Rising in a corner of the Great Dismal Swamp, the Perquimans River meanders 30 miles before meeting Albemarle Sound. The Sound, 55 miles from east to west, is the largest freshwater inlet in North America. A favorite recreational fishing ground and a popular place for cruising, sailing and many water sports, it is part of the Intracoastal Waterway. 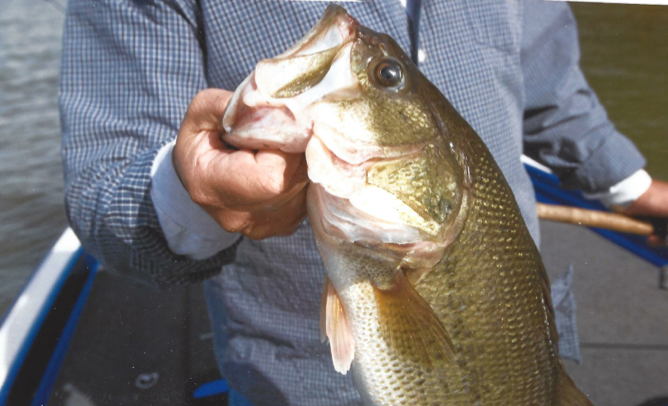 Bass are among the fish that can be caught in the Perquimans River. The Yeopim Indians were the first people to inhabit the area. The Yeopim called the area “Perquimans,” meaning “Land of Beautiful Women.” A derivative tribe of the Algonquins and the Tuscarora, the Yeopim were eventually driven away by English and Welsh settlers. The Perquimans, Little, and Yeopim Rivers, as well as Godwin and Sutton Creeks, are notable tributaries of the region. Located entirely within Perquimans County, the Perquimans River is a tidal estuary to just north of the town of Hertford. Because of the extremely flat topography, the Perquimans flows slowly and has cypress swamps on both banks for most of its upper length. It flows past the communities of Nicanor, Whiteson and Belvidere, as well as the towns of Hertford and Winfall. The Yeopim deeded Perquimans County to George Durant in 1661. With the river as the region’s major thoroughfare, the settlement of Hertford served as the colony’s first capital until 1716. Quakers from Hertford, England held the first recorded religious service here in 1672. Hertford today is home to approximately 2,200 citizens. Anglers here are occasionally seen fishing from land. The quintessential sleepy river town is steeped in history. Victorian and Georgian homes line a winding narrow road in Hertford that follows the banks of the river. Cypress trees draped with Spanish moss stand tall in the brown waters of the Perquimans. The Perquimans’ upper reaches are narrow, deep and winding. 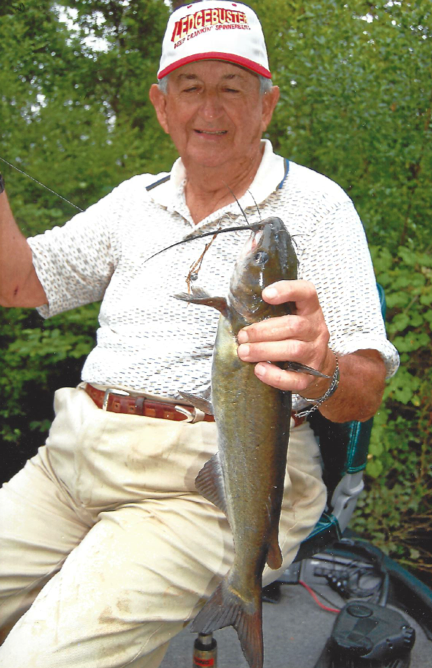 So winding, in fact, that Hertford, home of the late baseball great “Catfish” Hunter, sits on a peninsula bounded on the east, north and west by the river. Below Hertford the river straightens, widens and flows 12 miles before draining into Albemarle Sound. Tea-colored creeks feed the Perquimans, their slow-moving waters stained by tannins leached from bald cypress and juniper. Shaded by red maple, and black gum, the creeks are home to migratory fish. 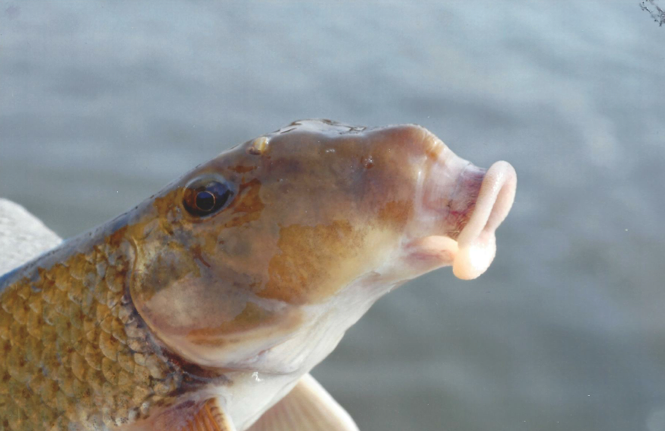 The river also has permanent residents, including white and yellow perch, catfish, flounder, largemouth bass and sunfish. There are no rapids and very little current. The water is quiet enough to support gentle paddling and lily-pad communities. A tidal estuary, the Perquimans normally flows very, very slow. Many of the riverbanks are cypress swamps. High and low water ‘tides’ are primarily wind-driven. Outdoor enthusiasts can go fishing or just enjoy the wildlife and magnificent cypress forests. 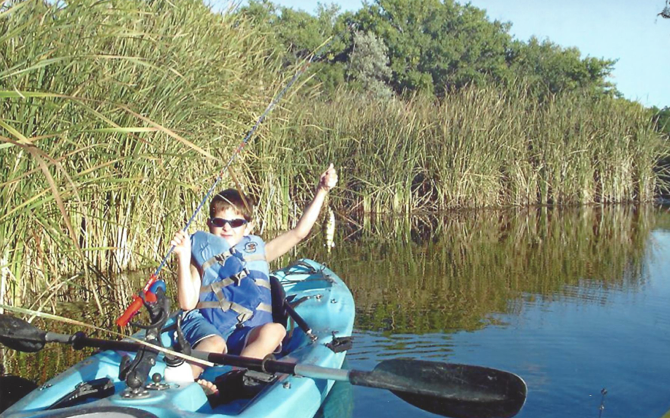 A young kayaker displays his catch. Wind governs the depth of the Perquimans. When north winds blow, the river falls, as water hurries toward the sea. Conversely, when winds blow from the south, Albemarle Sound waters invade the river, increasing its depth and salinity. Early colonists found a forbidding terrain here, crisscrossed by streams. Because roads on land were difficult to build and maintain, the river over time became a busy thoroughfare. Cargoes bound for New England slipped through Currituck Inlet. Molasses, sugar and liquor came in from the West Indies. During the Revolutionary War, Perquimans-area farmers donated corn, flour and pork to their northern allies. Ferry service linked communities, but after ferry-goers repeatedly complained of delays, a bridge across the Perquimans was built in 1798. Some 20 feet wide and floating on empty barrels, the privately owned drawbridge was eventually purchased by the county, after which tolls for North Carolina residents using it were abolished. A hundred years later, a new bridge was christened. No one was permitted to ride a horse on it faster than a walk. The bridge eventually was sold at auction. In 1928 the current concrete and steel bridge was constructed. During the Civil War, Union troops sailed up the Perquimans, destroying bridges in an effort to stop the flow of smuggled goods to Lee’s army in Virginia. (Those goods were brought into North Carolina primarily by the legendary ‘blockade-runners’ that operated just offshore. They skirted around huge artillery guns that were located on Fort Fisher.) The town of Hertford remained unscathed, although one plantation on the river near it was pillaged. In 2007, U.S. 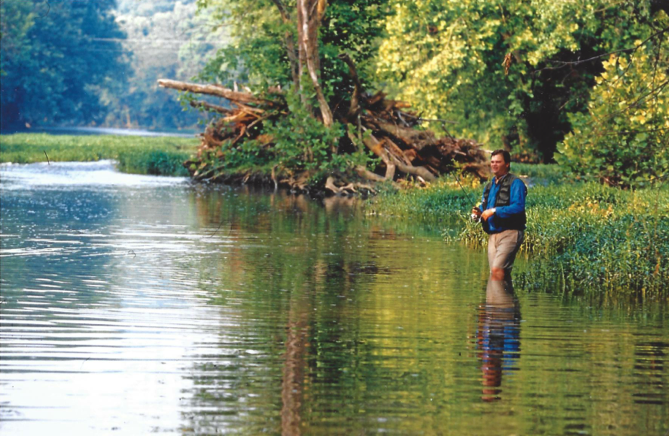 Senators Elizabeth Dole and Richard Burr introduced legislation calling for designation of the Perquimans as a National Wild and Scenic River. Preserving it would do more than just protect wildlife. People from all around come here to fish, camp, canoe, kayak and engage in other outdoor activities. Frequently seen on the Perquimans are bald eagles, otters, swans, geese and various species of ducks. The Perquimans is a paddler’s dream. A day can offer a wind so slight that you’ll travel silently on what appears to be black glass. But, if you look carefully, you’ll see a dark sandy bottom and observe fish swimming over it. Catfish are abundant here as well. 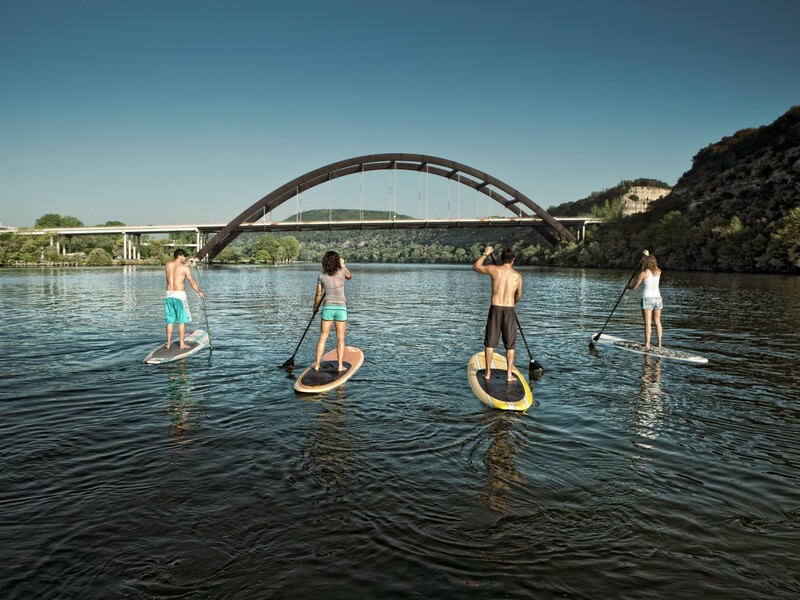 Whether you’re a novice or an experienced paddler, you’ll find a variety of trails to suit your ability. The Upper Perquimans River Trail is seven miles long from an access point at Belvidere, North Carolina and continues north to the upper reaches of the river. On the Lower Perquimans River Trail a canoeist or kayaker can travel 12 miles down the river to Hertford. There are no rapids or currents here. The water is, in fact, still enough to support lily-pad communities. One time I spotted a wild turkey high up in a tree. Herons and ducks are common. The Mill Creek Paddle Trail begins half a mile east of Hertford and features twin camping platforms along the way. The Goodwin Creek River Trail, three miles long, is a short outing that takes in the upper reaches of Goodwin Creek. Some creeks along the trail are only navigable by kayaks and canoes due to water depth and low bridges. Every season in Perquimans country offers a different wilderness experience. Huge trees provide a natural canopy and air conditioning for summertime visitors. After the leaves fall, there is an openness that isn’t present at other times. The Perquimans is still largely undiscovered, so don’t be surprised if yours is the only kayak or canoe on the water. Enjoy the uninterrupted glimpses of wild life, waterfowl and cypress forests. No matter what time of year you visit, you are sure to be inspired by the subtle beauty visible all around. Perquimans is a favorite getaway for persons searching a respite from modern living. Enjoy, and do plan to return. 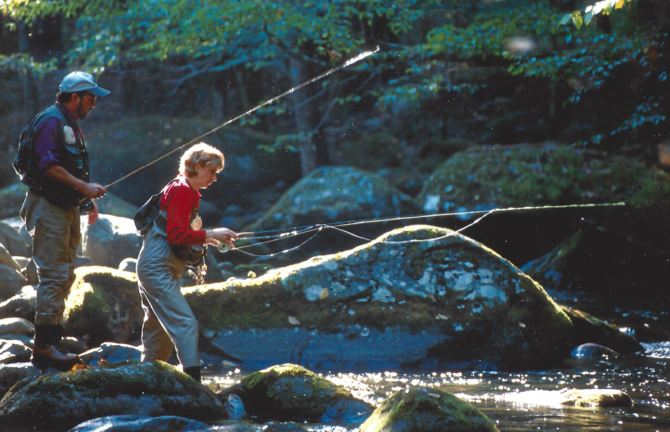 The Best Places for Fly Fishing in the U.S. This entry was posted in Canoeing, Destinations, Features, Homepage Featured by Mary Syrett. Bookmark the permalink. Originally from Baton Rouge, Mary Syrett is a freelance writer and photographer who holds degrees from the University of Louisiana at Lafayette. Her articles have appeared in a variety of popular magazines.